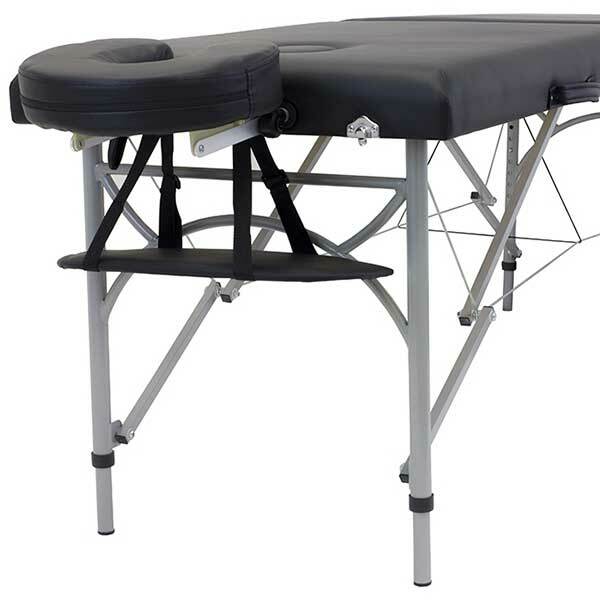 The Sierra Comfort All Inclusive Portable Massage Table is an all-in-one massage solution to get you started as quickly as possible. This model, SC-901 is similar to the SC-601 but has a lot more accessories and a slightly higher price point. 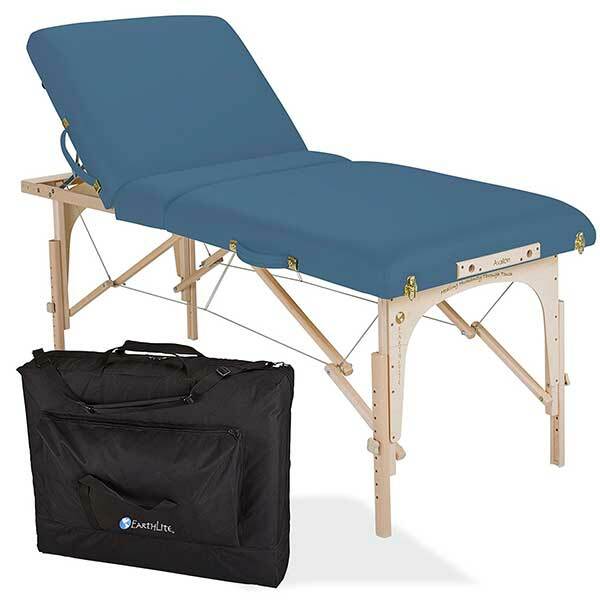 The SC-901 comes with everything you need for your massage or Reiki practice, including a removable face cradle, arm support, side armrests, cotton fitted sheets, semi-circle bolster, oil pouch, towel hanger and a carry bag. 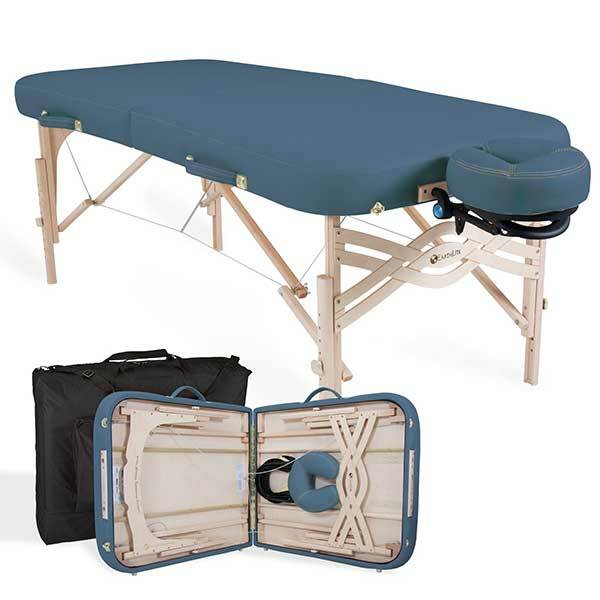 The Sierra Comfort All Inclusive Portable Massage Table is made of high quality beech timber. It’s 2.5-inch padding is half an inch thicker than the standard 2-inch foam offered by competitors. 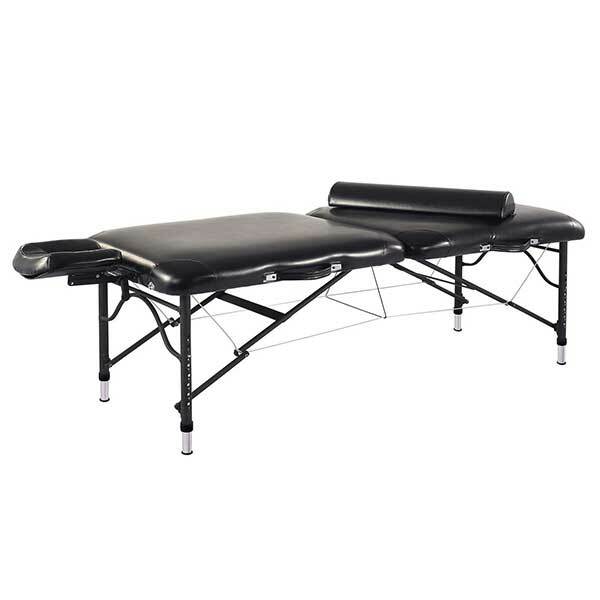 The video below provides a brief overview of the table as well as the included accessories. 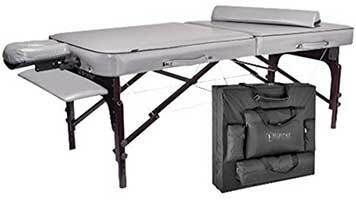 There are several points worth mentioning on the Sierra Comfort All Inclusive Portable Massage Table. Since it is similar to the SC-601, the SC-901 has the same strengths and weaknesses in terms of quality and comfort. It’s easy to set up, lightweight and comes with a good deal of accessories. The included accessories aren’t fantastic. The face cradle still risks breaking down after a number of uses. The fitted sheet set as well as the oil pouch are flimsy. 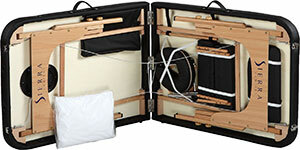 The carry case also does not seem to support the table’s weight effectively and risks tearing. Nevertheless, Sierra Comfort has positioned the SC-901 to be a product that will get you started in the quickest possible way. It’s good for the price. You get what you pay for. Just don’t expect it to last as long as the more expensive ones. It’s difficult to recommend this table for professional use. 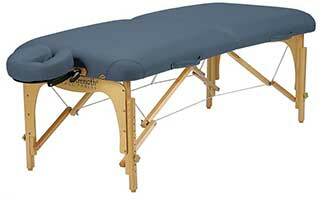 A professional massage or Reiki table should be consistent and reliable all throughout its lifetime. The SC-901 looks like it’s for temporary use (until you gather more funds for a better one). All in all, it is as advertised. It’s great for home use and for those who are just starting out. It’s not spectacular, but the accessories you get is worth the extra price. Add to that, you also get a 5-year warranty.